Radio essays recorded in the writer's own voice about topics related to Minnesota arts venues and events. Steve Downing shares his thoughts and memories from 1997, the summer of love. Steve Downing talks about the happenings in Grand Rapids, MN during First Friday in the month of March. Steve Downing talks about Minnesota Citizens for the Arts, the oldest arts advocacy organization in the country. Steve Downing travels to Puerto Morelos, Mexico, and shares the many forms of public art this area has to offer. Steve Downing reflects on some of the arts programming he has shared over the past 12 months. Steve Downing tells about his experience at "Peasants with Torches", an annual celebration of art, held at the TimberLake Lodge in Grand Rapids. Steve Downing visits the Edge Center for the Arts, in Bigfork, to see the musical "Annie Jr.", presented by Stages Theatre Company. Steve Downing shares his First Friday experience in Grand Rapids, MN on May 6th. An evening of art exhibits and local music. Steve Downing shares his essay on the difficulty of supporting early artists whose talents may not be ready for public consumption. 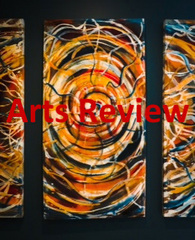 Steve Downing reviews the exhibits at the MacRostie Art Center and the Artaria String Quartet, at Itasca Community College in Grand Rapids.